As work on the office conversion at 61-63 Crosby Street winds down, Chicago-based developer L3 Capital is hard at work on its next project, a commercial building at 216 Bowery. 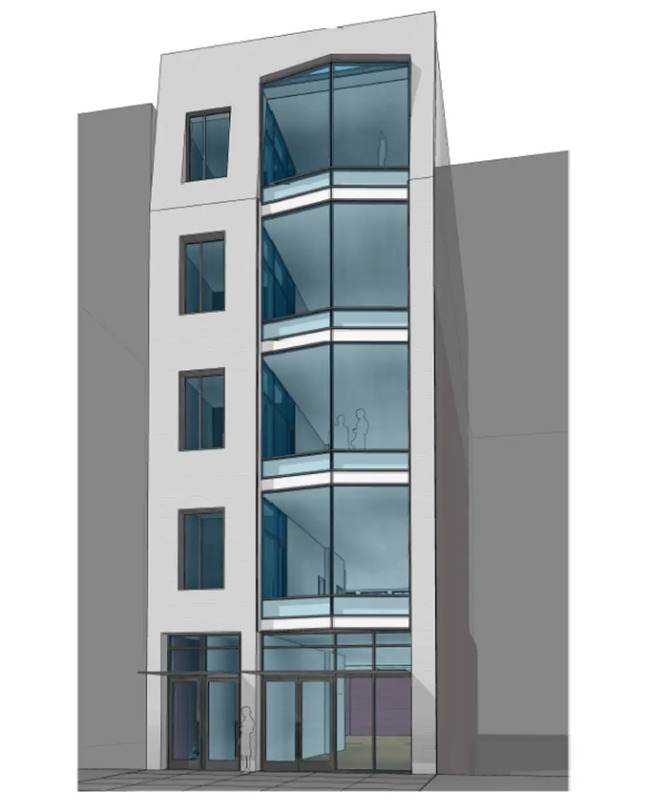 L3 Capital purchased the building for $13 million in March 2016 and recently released a very early rendering of a slim building with large windows but not much character. It will hold ground-floor retail and four floors of office space. 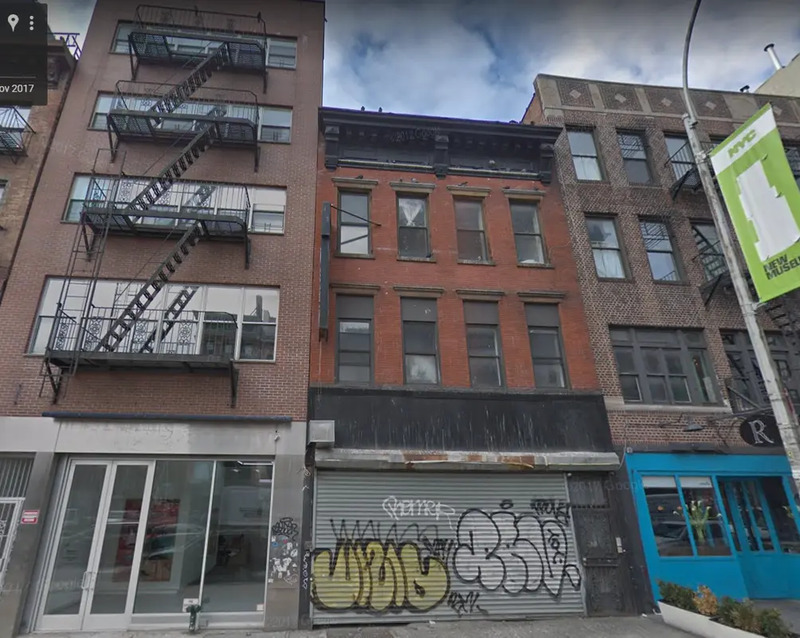 Bowery Boogie grimly predicted that the vacant 4,900-square-foot former tenement on-site would go down, but plans filed with the city keep it intact, adding two floors and a roof deck to the building. The applicant of record is David Grider Architect, which handled the conversion and addition at 61-63 Crosby Street.